MacFarlane Partners tops off the highly anticipated Park Fifth development, which is expected to dramatically change the Pershing Square neighborhood. The Downtown Los Angeles skyline is changing yet again. Developer MacFarlane Partners has topped off Park Fifth, a highly anticipated luxury high-rise apartment complex across from Pershing Square. 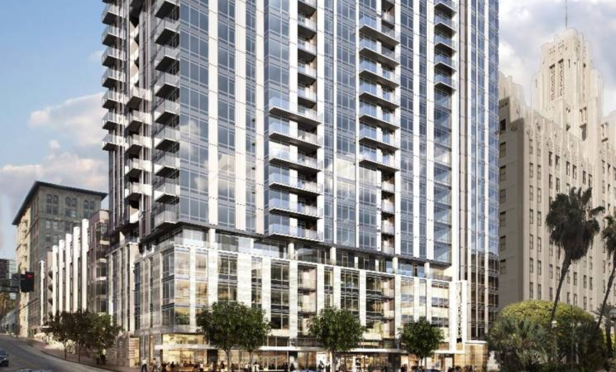 The 24-story property has 347 rental apartment units and 5,300 square feet of retail space, and is expected to dramatically change the surrounding Pershing Square neighborhood.